In order to label and sell their products as organic, farmers and food processors must undergo a certification process. 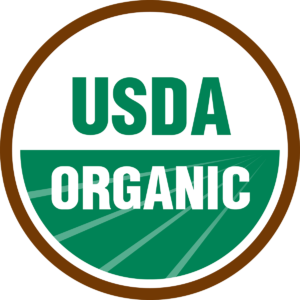 In the United States, the standards for organic certification are set by the USDA. The process is backed by the National Organic Standards Board, a volunteer group of organic farmers, retailers, environmentalists, scientists, certifying agents, and consumer advocates. If you purchase a product with the USDA Organic seal, you can be assured that item was produced without synthetic pesticides, herbicides, or fertilizers, and that it is GMO-free. Develop an organic system plan. This is a document detailing how your particular operation will comply with USDA organic standards, including your plans for tillage, harvest, livestock management, and more. Implement the plan, and have it reviewed by a certifying agent. You can find a list of accredited agents here. Receive inspection. An accredited agent will come to your farm and take a firsthand look at your operations to ensure they comply with USDA regulations. Have a certifying agent review the inspection report. The inspector will compare how your actual management practices compare to your organic system plan. Receive a decision from the certifier. If your farm is in compliance with the rules, you’ll be issued an organic certificate and you can officially market your products as USDA Certified Organic. You’ll need to repeat the inspection process yearly. Get more information on the certification process at the USDA website. The USDA Organic certification is an excellent starting point for ensuring that organic practices are upheld. But it also falls short in some areas, like animal welfare, in which the rules are sometimes vague and difficult to enforce. Many farmers go above and beyond the USDA Organic standards in their management practices, looking for even better ways to improve soil health, animal welfare, and the total health of their farm systems.